The risk of death from sepsis is reduced if it is identified early and treated promptly. Treatment can be delayed through a failure to recognise the signs and symptoms of sepsis. This was a quality improvement intervention to improve recognition of sepsis in a paediatric unit in the United States. Interventions included a sepsis identification pathway, vital sign screening and subsequent evaluations by doctors. Implementation included distribution of the pathway to all clinical staff, ongoing education and an e-learning programme, incorporation of a severe sepsis medication order in the hospital electronic medical record (EMR), and a standardised communication pathway. Plan, do, study, act (PDSA) cycles were completed during implementation. Compliance was monitored by statistical process control (SPC) assessed by monthly chart reviews. Over a year 161 patients from 963 admissions had positive screens for sepsis. During the first month of using the pathway only 50% of cases achieved full compliance to the pathway. By six months compliance rose to 80% and this included more nurses notifying doctors when a child fulfilled the sepsis criteria and the inclusion of a sepsis evaluation prompt for doctors in the EMR. From six to 12 months the mean compliance was 82.8%. Improvements were statistically significant. Continued education and feedback were thought to be critical to the project’s success. The sepsis identification pathway was successfully implemented by adopting quality improvement methodology. This encouraged a standardised approach to recognition and response for possible sepsis in hospitalised children. Improvements were sustained over a six-month period. Further research is needed to determine if this approach improves outcomes. 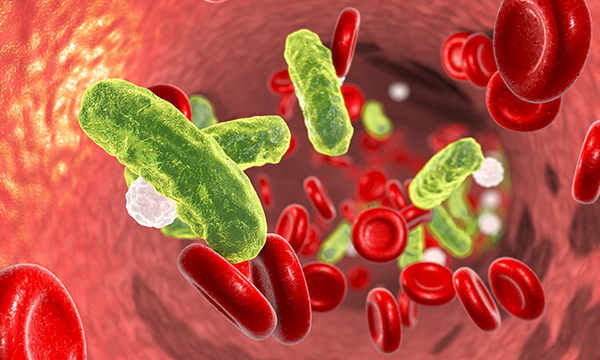 Sepsis is a leading cause of mortality in children and adults worldwide. About 44,000 people die from sepsis in the UK each year and the cost to the NHS has been estimated to be £2.5 billion. Sepsis is common but still poorly recognised, and delays to treatment are frequent. This situation has prompted many organisations to look at how they recognise and respond to patients who may have signs or symptoms of sepsis. This study is important because it demonstrates that improving the recognition of sepsis does not require complex interventions or high-tech equipment. It can be achieved using relatively low-tech interventions, such as effective screening of vital signs, developing and sharing a sepsis pathway with clinicians, and standardising communication between doctors and nurses. However, changing and sustaining changes to practice can be challenging. The study also highlights that recognised quality improvement techniques, such as regular chart reviews, use of SPC charts to track progress and PDSA cycles, can make success more likely. PDSA cycles allow staff to try out changes on a small scale, but in real-world settings. Often it is apparent quickly what will work and what will not. When changes are tested in this way they can be refined and improved before they are implemented on a broader scale. This prevents unnecessary waste and builds staff confidence. Staff at the bedside are often in the best position to test these changes and give feedback on them. The authors of this study think this is an important factor in their success. Reducing the mortality rates associated with sepsis relies on early recognition and prompt management. The Sepsis Trust, in collaboration with the National Institute for Health and Care Excellence, has developed a range of toolkits to assist with the recognition and response to sepsis in a range of settings. This study has highlighted that effective implementation is critical if these improvements are to be sustainable in practice.